Our little Roe loves to eat! I just started feeding her cereal last week and you would have thought it was chocolate chip cookies! She loved it so much! She was so excited & couldn’t get enough! 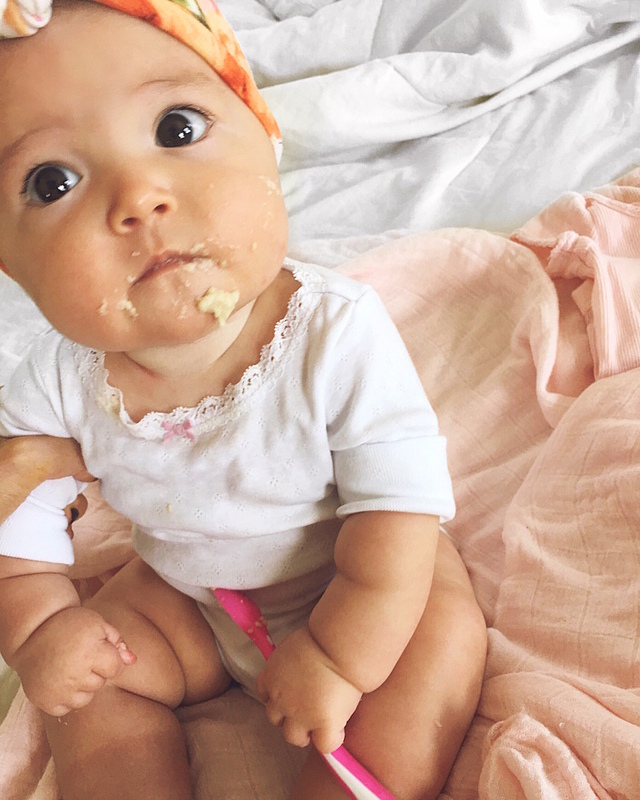 This little girl is almost 5 months old and already tries to grab the spoon and feed herself! While it might be the cutest thing I’ve ever seen, it is also the messiest! We have been feeding her 2 twice a day and I don’t have time to give her a bath (which she needs) after every feeding. That’s when I turn to my handy Cleansing Cloths! I know I have talked about them before but I LOVE LOVE LOVE them and highly recommend them! I also use them on Mason when I pick him up from school! Now having him in school I’m so paranoid about germs especially this fall season! So the minute I pick him up from class I wipe every limb of him down! Using the Head-to-Toe Cleansing Cloths in our Back to School routine has kept us happy, healthy, and smelling nice and fresh! I also love how they are so gently on the kids skin! I also love their longevity. I never have the dry out when I’m using one and when it comes to cleaning all the cereal off of Monroe I will wipe her down really well rinse the clothe off to get all the cereal off it if and re-wipe her. They never break or breakdown on me. 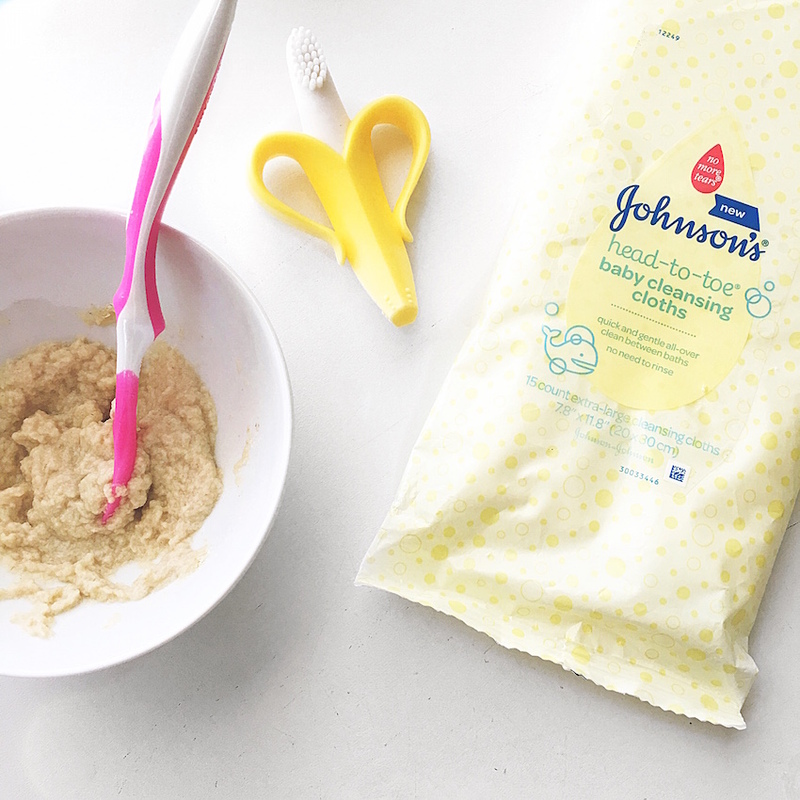 Johnson’s® knows today’s busy parents can’t always give their baby a traditional bath. 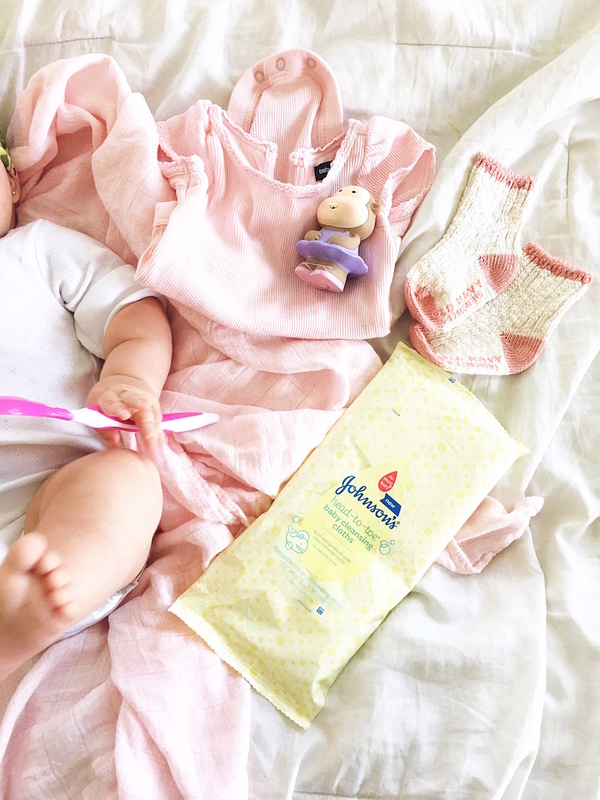 Our new Head-to-Toe Cleansing Cloths provide gentle cleansing of a Johnson’s® bath without the tub and water, whether at home or on the go. 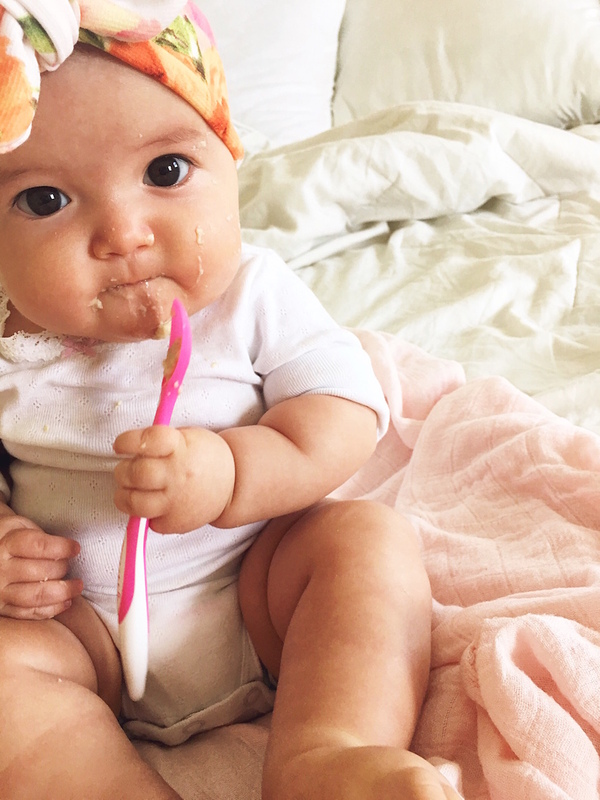 Millennial parents are increasingly relying on “in-between baths,” using wipes or washcloths to get their baby clean for many reasons, including not wanting to expose baby’s skin to cold winter weather and hectic schedules. 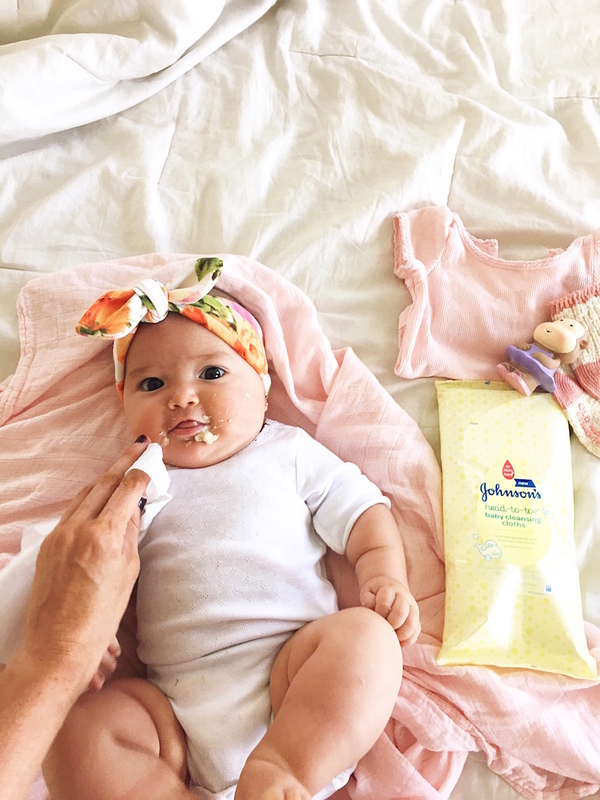 In these moments, parents can use the new Head-to-Toe baby Cleansing Cloths which are soft, thick cloths twice the size of average wipes and designed to keep baby clean without the need for water. There’s no need to rinse, leaves no residue, and won’t dry out baby’s skin. 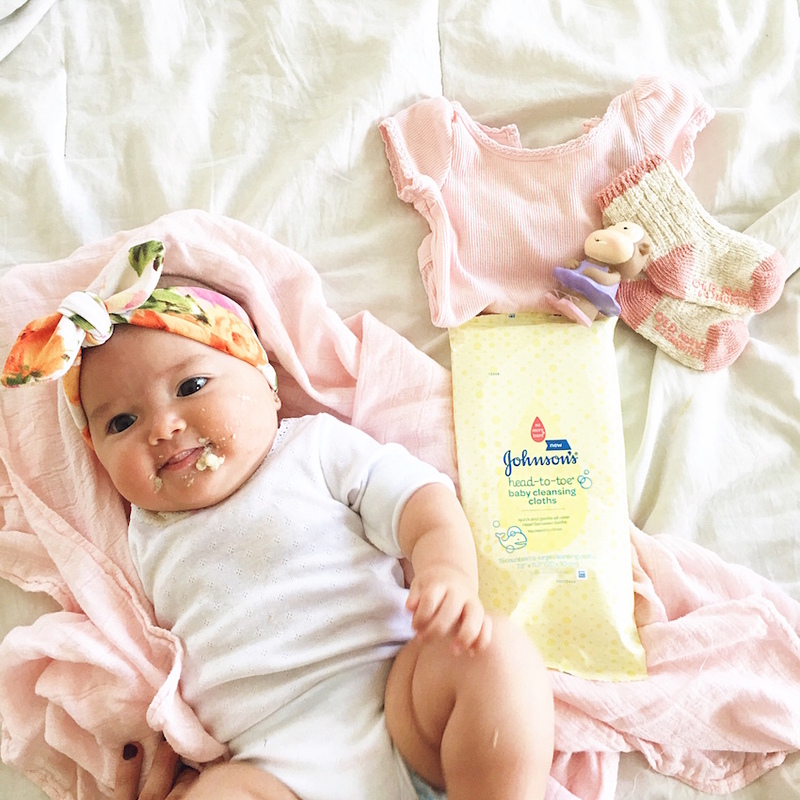 As a partner to generations of parents, JOHNSON’S® knows life with a baby is filled with unimaginable wonder and is always finding new ways to enhance the everyday experiences of today’s busy families.